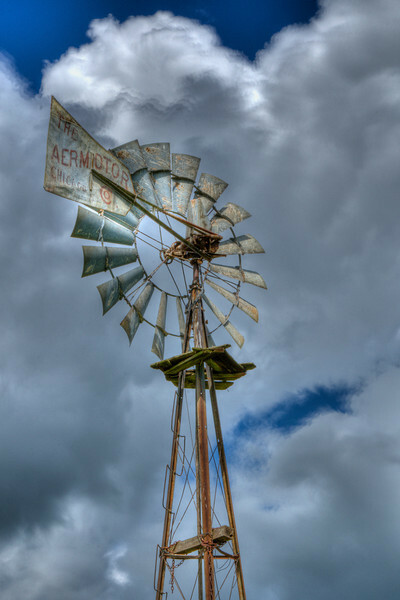 Aermotor Windmill -- Clouds move past an old windmill at the Senger farm in Mt Solon, Virginia. This Hyper Dynamic Range (HDR) image is a combination of three different images blended together and additional details added using digital painting. Image by Jerome Sturm and this image may not be reproduced without the permission of the owner.